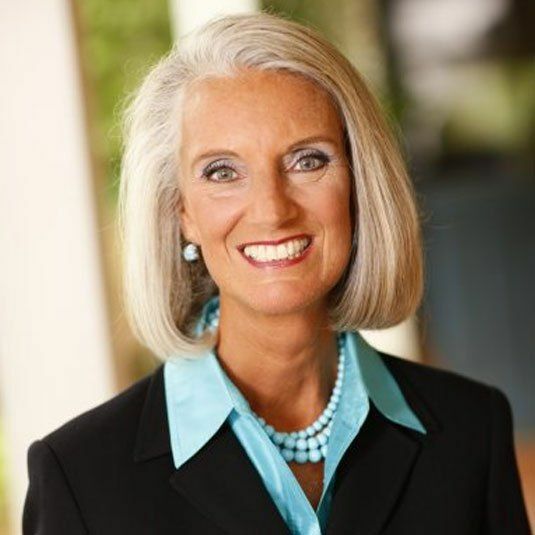 Called "the best preacher in the family" by her father, Billy Graham, Anne Graham Lotz speaks around the globe with the wisdom and authority of years spent studying God's Word. The New York Times named Anne one of the five most influential evangelists of her generation. She's been profiled on 60 Minutes, and has appeared on TV programs such as Larry King Live, The Today Show, and HannityLive. Her "Just Give Me Jesus" revivals have been held in more than 30 cities in 12 different countries, to hundreds of thousands of attendees. Whether a delegate to Davos' Economic Forum, a commentator to the Washington Post, or a groundbreaking speaker on platforms throughout the world, Anne's aim is clear - to bring revival to the hearts of God's people. And her message is consistent - calling people into a personal relationship with God through His Word. Anne is a best-selling and award-winning author. Her releases include "Wounded by God's People,", "Fixing My Eyes on Jesus," "Expecting to See Jesus" and her first children's book, "Heaven: God's Promise for Me." Anne and her husband Danny Lotz have three grown children and three grandchildren. She is the founder and president of AnGeL Ministries. Anne delivers the message "The Resurrection of Jesus"